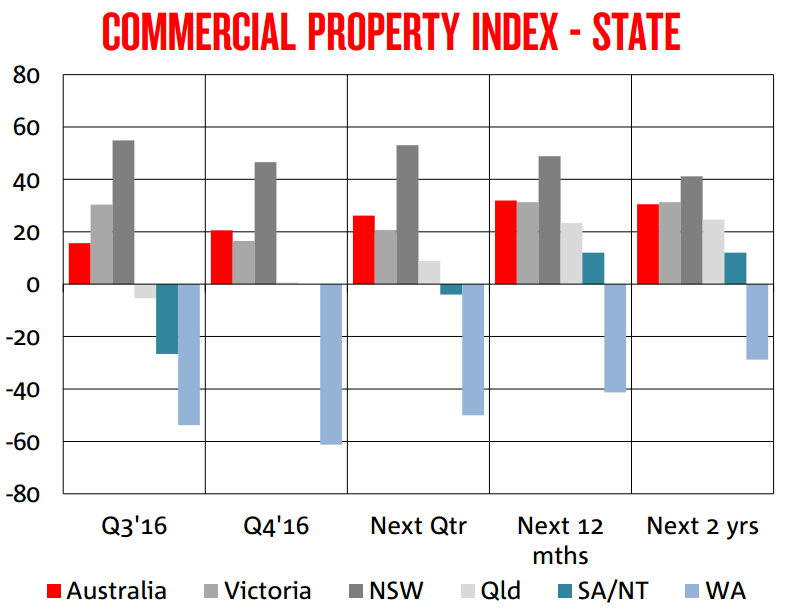 Sentiment about the commercial property market has gone up with National Australia Bank’s (NAB’s) Commercial Property Index rising five points to +21 in the fourth quarter of last year. These results come from NAB’s Commercial Property Survey Q4 2016 which surveyed 250 panelists and put the index at its highest point since the survey began in 2010. 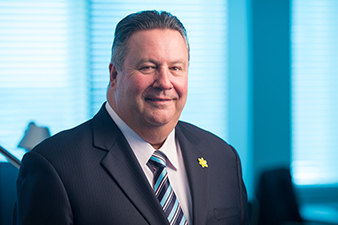 These improvements over the fourth quarter were due to big gains in CBD hotels (up 34 points to +88) and small gains in the office sector (up three points to +14), said NAB chief economist Alan Oster. 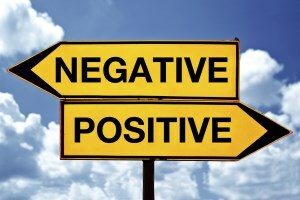 Sentiment in retail and industrial both fell by five points to +17 and +5 respectively, the survey found. 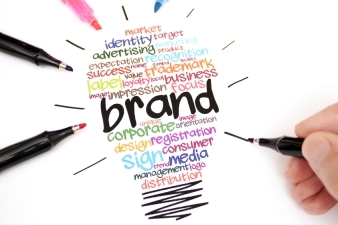 “Confidence has also wavered in all sectors, except CBD hotels where it rose sharply among very strong expectations for occupancy, capital and revenue per available room (revPar) growth,” Oster said. Looking at each state, sentiment and confidence was strong in NSW and Victoria, showed some improvement in Queensland and was very weak in WA. Prospects for capital growth over the next one or two years will improve, the survey found. These prospects were the best for CBD hotels and were scaled back but still on the uptrend for all other sectors. 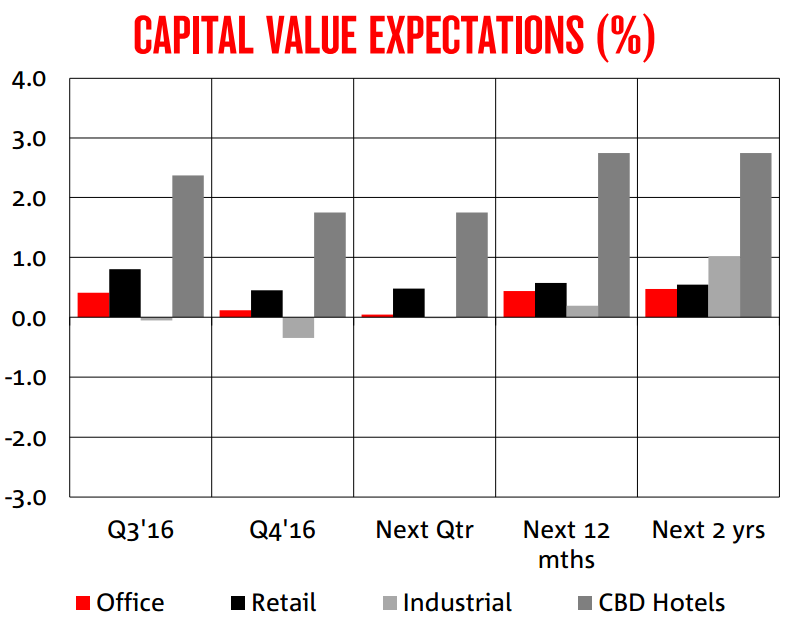 Looking at projected capital values, expectations were highest in NSW for offices, NSW & Victoria for retail and NSW & Queensland for industrial.